It&#39;s so annoying when you say a word in your target language and you&#39;re 100% SURE it&#39;s going to mean one thing...and then it turns out to mean something completely different. Ugh, awkward! When those words look the same as your native words, you&#39;ve hit upon false friends. They&#39;re a common frustration in language learning, and in this episode I&#39;ve got some tips that you need to hear if you want to get better at dealing with them. the most interesting false friends in other languages. why do these happen, and why I think more people should get excited about false friends. what you can do to avoid falling for them again and again. 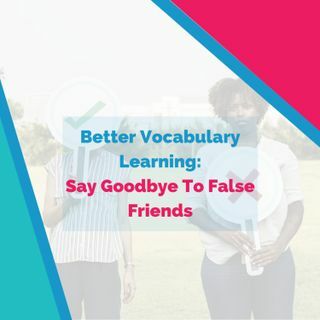 If you want to learn my tricks to systematically tackle these frustrating false friends, tune in to this podcast episode. Thank you to Mo for this episode introduction. The Fluent Show is taking a Christmas break and will be back on 7 January 2019. Stay tuned, and have a WONDERFUL holiday season. Like all podcasts, the Fluent Show is supported by your online reviews and word of mouth.